“Despacito” rapper Daddy Yankee was allegedly robbed of $US2 million in jewellery in Spain this week by a man who impersonated him to gain access to the safe in his hotel room. His representatives confirmed the robbery in a tweet on Thursday. “Despacito” rapper Daddy Yankee was robbed of $US2 million in jewellery in Spain this week, his representatives said on Thursday. The Puerto Rican rapper, whose real name is Ramón Luis Ayala Rodríguez, was out of his hotel room when a man allegedly impersonated him to gain access to the safe in his room, local news outlet Las Provincias first reported. Rodríguez’s public relations team, Nevarez PR, confirmed the robbery in a tweet on Thursday. 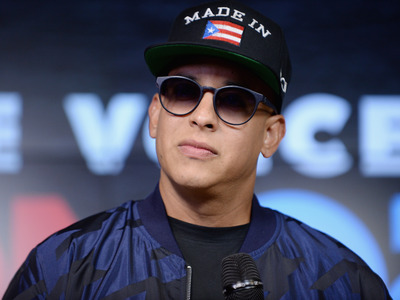 Las Provincias reported that the robber impersonated Daddy Yankee in order to ask the staff at the Melía Valencia hotel, where Rodríguez stayed, to open a safe in the rapper’s room. The man allegedly made off with gold chains, diamonds, and other jewellery worth over $US2 million and around $US2,500 in cash from two separate rooms. Federal police have begun an investigation into the robbery and are using security cameras, the hotel’s guest list, and possible fingerprints in an attempt to track down a suspect, according to Las Provincias. Daddy Yankee’s single “Despacito,” a collaboration with Puerto Rican singer Luis Fonsi, became the most viewed music video in YouTube’s history last summer. A remix of the song featuring Justin Bieber spent a record-tying 16 weeks at No. 1 on the Billboard Hot 100 chart last year.